Dark Horse Comics just announced that its vampire series Baltimore will be debuting a trio of new graphic novels through June of next year. 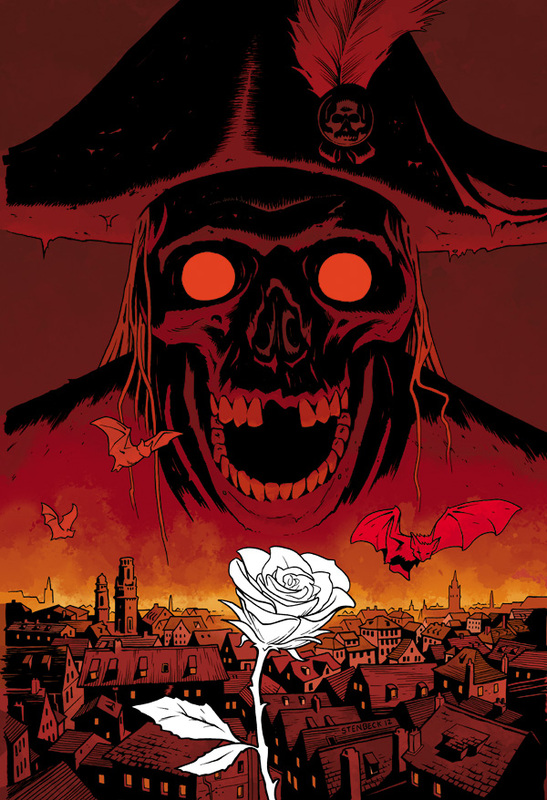 From celebrated comic artist Mike Mignola and award-winning novelist Christopher Golden come the next installments of the critically acclaimed Baltimore series! In Baltimore: The Play, a mad playwright puts on a Grand Guignol featuring actors that are real vampires. The evil financier of the play makes a bizarre discovery when he finds out that the playwright is a fraud and the true author is the disembodied head of a famous American author kept in a glass case.Baltimore: The Play is on sale November 21, 2012! Following The Play, Lord Baltimore finds himself in a double feature with Baltimore: The Widow and the Tank, on sale February 20, 2013. “The Widow” concerns a woman whose husband and war buddies have returned from the war as vampires and begun preying on their hometown. In “The Tank,” Baltimore learns of a wrecked tank in a field as he is passing through the war-ravaged countryside. People believe there is a vampire living inside that has been eating cattle and attacking locals. When Baltimore checks it out, it turns out to be true…to a point. Lord Baltimore’s next adventure, Baltimore: The Inquisitor, features the origin story of one of his main antagonists—Judge Duvic. Look for The Inquisitor on sale June 19, 2013!